It’s snowing… again! But we really don’t mind, in fact we have been enjoying our snow days here. 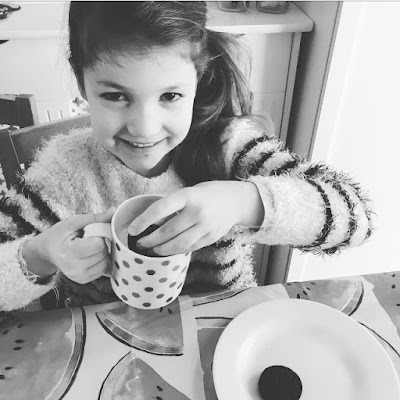 Over the past few weeks Mini Reviewer, Izzie (6) has found herself at home for a few extra days as her school closed due to the bad weather and although initially she was not impressed (she loves school! ), she soon realised that it was the perfect opportunity to have some fun together! I also enjoyed the break from the dreaded school run and unsurprisingly completely embraced a slower pace of life for a few days. Izzie and I are huge fans of Oreos so we jumped at the chance of taking part in our own little “Cookie Quest” to celebrate the launch of The Oreo Great Cookie Quest. 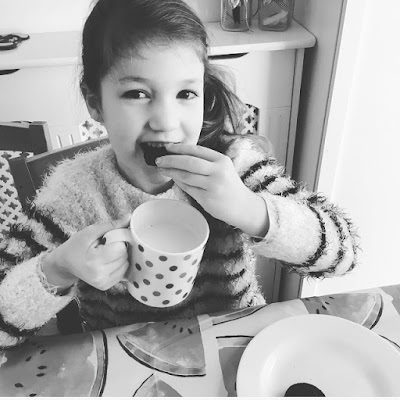 You can find out all about The Oreo Cookie Quest and the amazing prizes that are up for grabs at the end of this post. The first snow day happily coincided with the arrival of our Oreos from Britmums, so we couldn’t resist a snowy cookie quest! We wrapped up warm and headed outside. I set Izzie a few snowy challenges and promised her a little reward at the end. She had to catch a snowflake on her tongue and make a snow angel. Then together we had a snowball fight and built a snowdog! It was so much fun and rather special as Izzie couldn’t remember the last time she had played in the snow! Definitely a wonder-filled moment! Once Izzie had completed her snowy cookie quest, we headed back inside to warm up. Her reward was of course Oreos and hot milk. Not only are Oreos delicious, they are perfect for dunking too! We then decided to spend the afternoon inside sharing plenty of stories together. It turns out that snow days are also a bookworm’s dream! Look out for the Great Oreo Cookie Quest promotion on packs in store now. Anyone can pick up a promotional pack to have a chance of winning some amazing prizes, including a once-in-a-lifetime trip to California and the Googleplex. 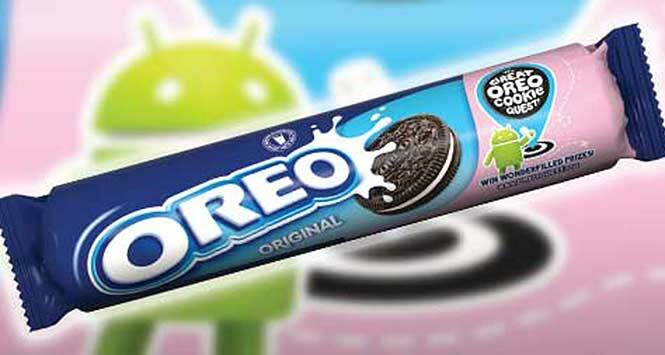 You can find out more about the promotion and the Oreo app here. 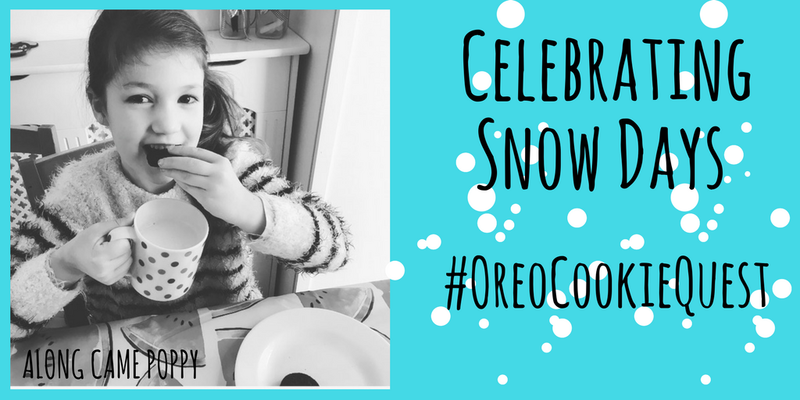 *This post is an entry for BritMums #OreoCookieQuest, sponsored by Oreo.